A domain name is what people type to get to your website. Domain names were created to make finding websites more easily. If it were not for domain names, then we would have to type IP addresses to reach websites. For example, Facebook’s IP is 173.252.110.27. (for security reasons, companies cycle through a series of IP addresses.) Instead of having to type all of these numbers to reach Facebook’s website, you can just type, ‘www.facebook.com.’ Think of a domain name is your website’s street address and the IP address as the GPS coordinates. Remembering a street address is much easier than remembering GPS coordinates. Your domain name is another chance for you to tell more about your brand or what it is that you do. Within your domain, you can combine bits of information including where you are regional, the type of business you are, and more. 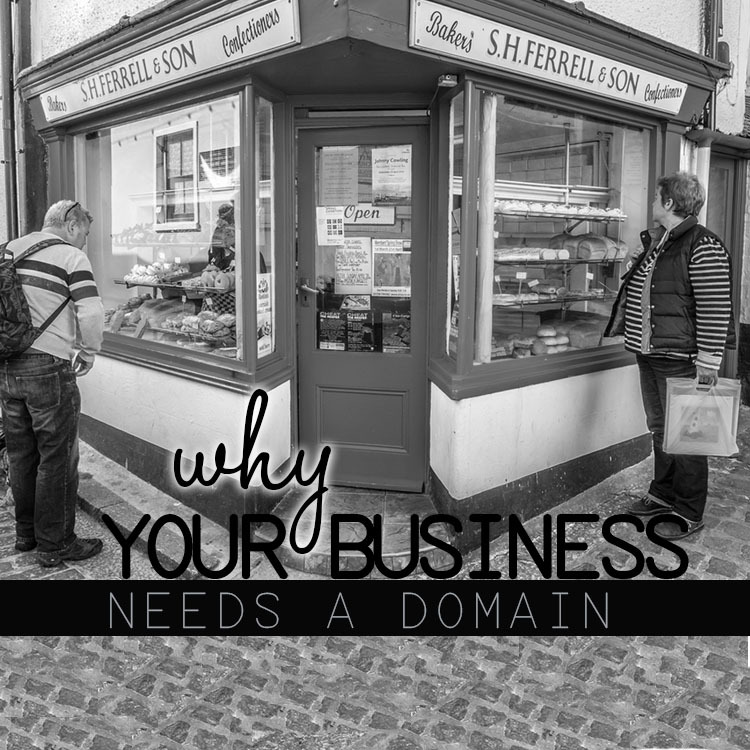 With your own domain, your business can appear more professional. For example, www.yourbusiness.com looks better than www.freewebsitebuilder.com/yourbusiness.com. Search engines also prefer individual domains as opposed to free web domains. Sometimes, search engines won’t even list free, or generic ISP’s domains. If/ when you change domain providers, your email addresses will change. If you use generics, this gives competitors the chance to buy your domain. Because free / generic domains are often used by scammers, your emails sent from the said domains have a high chance of being blocked. It [can be] cheap- so why not? Purchasing a domain costs roughly $10 a year- maybe less for many domain names. However, when a domain is highly sought-after and has high volumes of internet traffic, then competition drives up the price. The highest selling domain name to date was vacationrentals.com that sold for a cool 35 million in 2007. This is very uncommon but shows the value that companies place on having a quality domain. Companies also will purchase variations of their domains. For instance, Facebook owns fb.com and even misspellings to help users reach their site from a variety of domain names. A process called re-directing is used to direct visitors to the correct site. Instead of mybussinessofmycity@gmailcom, you can have name@mybusiness.com. With your own domain, you add email addresses such as sales@mybusiness.com, info@mybusiness.com, support@mybusiness.com, etc. Even if these emails are sent to the same person, individual addresses create the impression that you have a large and responsive company. Additionally, if you have your own domain, anything you place in front of the domain is yours as well. Mail.mybusiness.com and sharepoint.mybusiness.com are examples of this. Go to Godaddy and look for available domains! Need help with purchasing a domain or setting it up? Call our remote help desk for help. How will AI Affect Your Business This Year? Our headquarters are located at 610 Rood Avenue in Grand Junction, Colorado. We have an additional office located at 845 S. Townsend in Montrose, Colorado.